I was headed home after a meeting this morning and waiting at a red light, on the corner of 4th and Gay St. 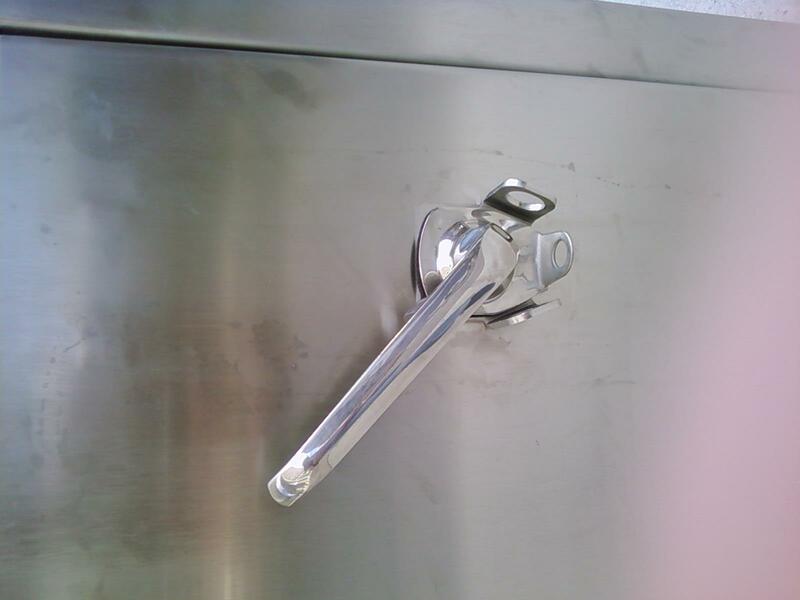 I noticed a bike locker! It was totally unexpected and put a smile on my face. I immediately dismounted my bike, walked across the crosswalk and checked it out. I took a few pics (see below) and was just really delighted about another piece of bike visibility in our downtown area. 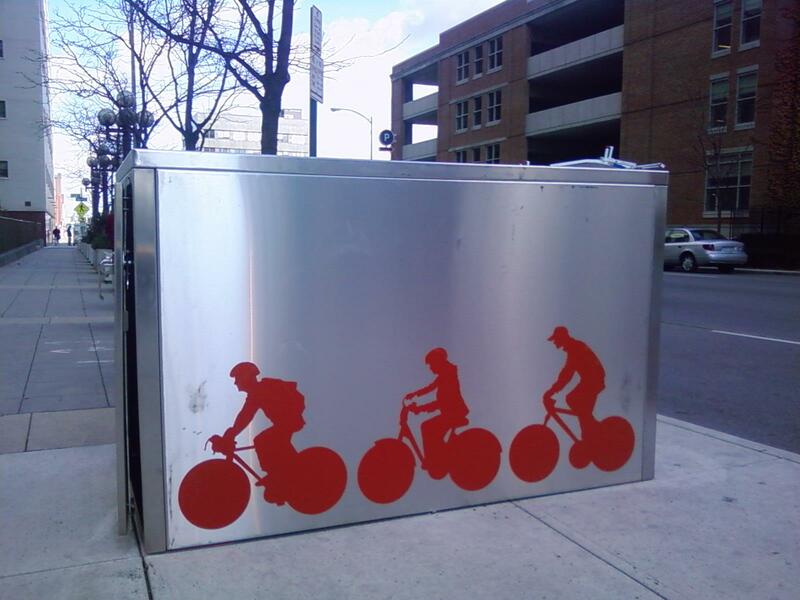 I also thought it was very smart that the orange people on bikes branding is the same as the ones on the top of some of the bike shelters in downtown Columbus. Its those little things that matter. Consistency is key. 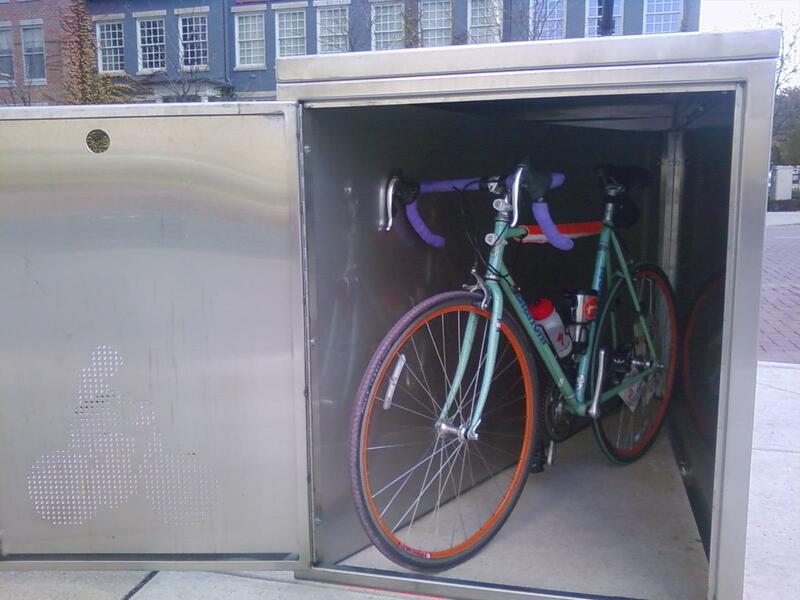 These bike lockers have been provided by the downtown Special Improvement District (SID). You should see them peppered on corners here and there. 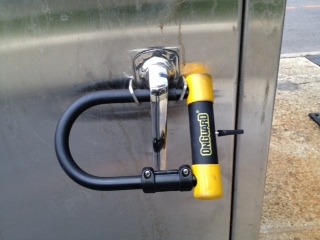 The bike locker is free to use, you just need to make sure you bring your lock. The downside is that not all bikes will fit in these lockers. More upright bikes will not fit. Stay warm, be safe and keep riding.